Whether you are a home owner in the San Antonio area, or currently renting a home, keeping your home or rental property clean and organized has value that can make a huge difference in your outlook regarding all aspects of life! Real Property Management Alamo is a leading property management company in San Antonio with an excellent maintenance department that can offer cleaning services, whether your property is occupied or vacant. Keeping your living space clutter free can be truly liberating. Here’s a tip for the laundry area. 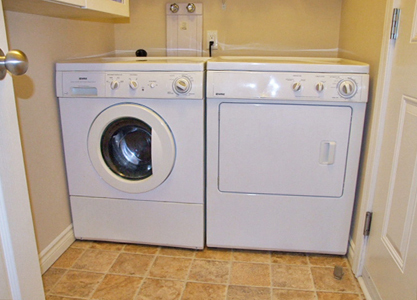 Whether your washer and dryer are in a hall closet, a mudroom, or out in the garage, here are some tips to make sure your laundry room stays a safe place. Disorganization can lead to some real safety hazards. Home expert, Bob Vila, widely known as host of TV’s This Old House, Bob Vila’s Home Again, and Bob Vila, continues his mission to help people upgrade their homes and improve their lives with online advice. Click here for his article sharing his ideas to help you stay organized, and to make sure that your laundry appliances and the space itself are operating at peak performance. If you need assistance with any maintenance or appliance repair or replacement, please contact our maintenance department at 210-787-3876. We offer all aspects of home maintenance and property management for your rental properties. Contact Amanda at 210-787-3876 or [email protected] for more info.